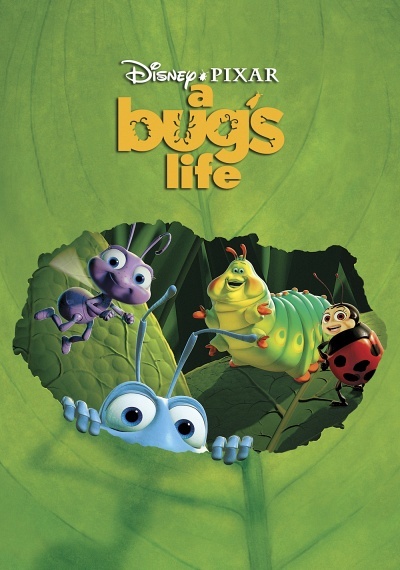 A Bug's Life :: Movie Information :: RabbitTV GO! Life is no picnic for the ants on Ant Island! Each summer a gang of greedy grasshoppers - led by the menacing and manipulative Hopper (Kevin Spacey) - descends upon the colony to demand a hefty portion of the ants' hard-earned harvest and generally make life miserable for this peaceful community. Our hero Flik (Dave Foley), an original thinker out of step with the rest of the more traditionally-minded colony, takes it upon himself to get outside help and mistakenly enlists an unemployed troupe of bug performers from a second-rate flea circus to join the fight against the grasshoppers. Working together in their new-found friendship, the ants and the circus bugs prepare for a climactic confrontation with the grasshoppers. When Flik's plan starts to unravel, the action and comedy turns fast and furious as he attempts to save the colony and his reputation.